In celebration of the 2016 Chinese New Year, the illustrious Royal Australian Mint has released the 'Year of the Monkey' gold coin series. 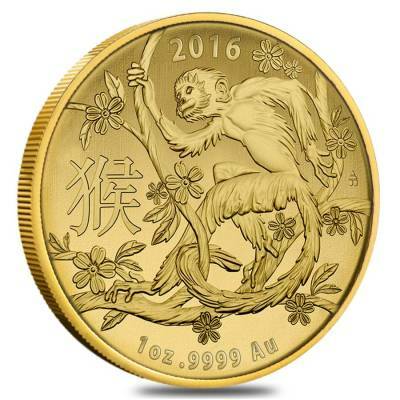 These charming and lavishly crafted coins have been struck in 99.99% fine gold. The Chinese Zodiac or Shēngxiào is a tradition based on a 12-year mathematical cycle, with each year being represented by an animal and their reputed attributes. Customarily these zodiac creatures were utilized to date the years. 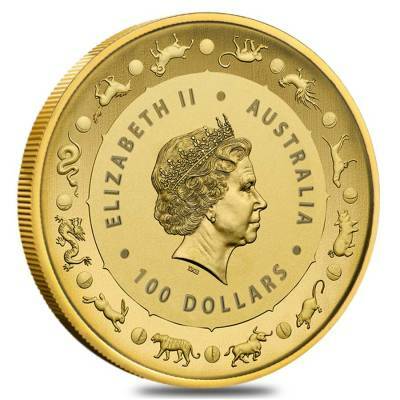 Bullion Exchanges is pleased to carry these exquisite gold coins, which are composed of 1 oz of 99.99% fine gold. The reverse side features a handsomely intricate rendering of a skillful monkey moving along branches of a blooming tree and the Chinese Character '猴', which transcribes as “monkey” in English. The highest point of the reverse side features the inscription “2016” while the base features the coin’s metal weight and fineness, “1 oz .9999 Au”. The obverse side features the effigy of Her Majesty Queen Elizabeth II, along with the inscriptions “ELIZABETH II”, “Australia”, and the face value of the coin. The obverse side is encircled by portrayals of the 12 signs and moon phases of the Chinese Zodiac. This playful animal is not only loved around the world, but the Chinese Zodiac represents a tradition which is still popular adding to this unique coins appeal. 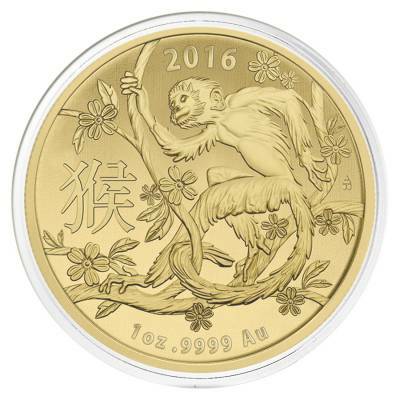 Add a 1 oz 2016 Year of the Monkey Gold Coin to your cart today. With this purchase, you earn 1529 Bullionaire Bucks 1529 BB = $1.53. For every $1 spend, you will earn 1 Bullionaire Buck which is equivalent to $0.001 off a future purchase. 1529 BB = $1.53.